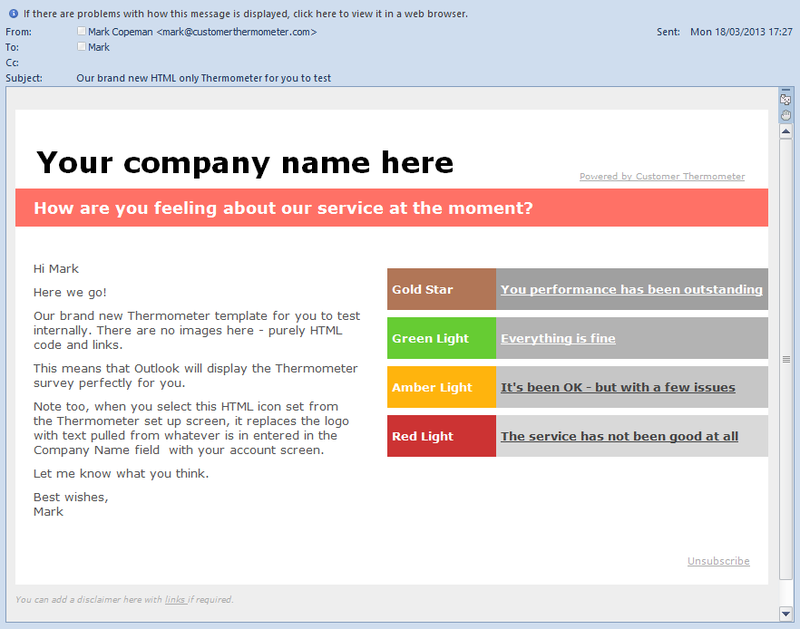 Late last week, we launched v 1.6.1 of Customer Thermometer – which contains a brand new HTML only Thermometer template. 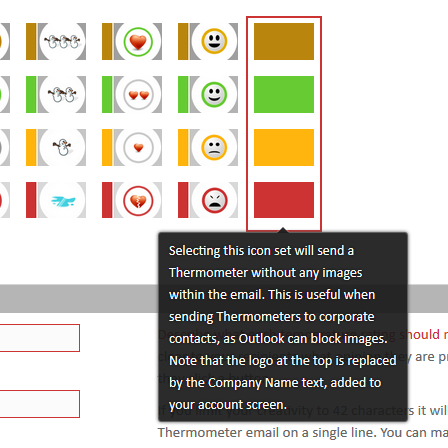 This means that if you are sending emails into or within a corporate environment, Thermometers will always display correctly, irrespective of whether images are enabled or not. These are actually HTML generated coloured rectangles, as opposed to JPGs. When selecting this template, the system also disables your custom logo, which normally appears top left of your Thermometer. Instead, the text stored in your company name field, within your account settings will now be displayed. The Thermometer survey works in exactly the same way and your uploaded logo will still display on the thank you landing page. Watch out for v1.7 – coming soon. BIBO endorses Customer Thermometer Customer Thermometer plans a huge new release of functionality!